Limited quantity of 15 Available! Unique to this first round, Kumar would like to extend a 10% discount off of the purchase of the next-gen BeagleLogic board when it is available. Instructions on how to redeem the discount will be sent at that time. 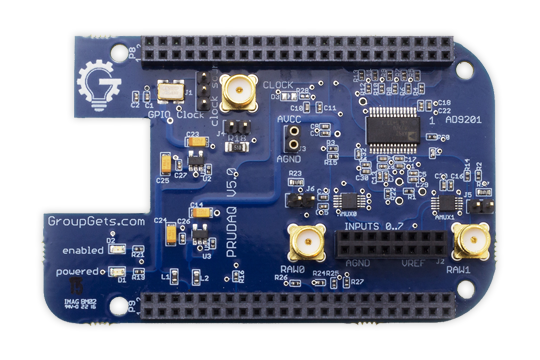 I have just created the GroupGet for PRUDAQ - 40MSPS DAQ BeagleBone Bundle! We had to reduce the max from 50 to 15 because we recently learned that there was a limit to how many USB drives and memory cards that we could order per day and we wanted to be able to ship promptly. We'll look for a workaround for the next round. Sorry for any inconvenience.